On March 17, 2016, the National Security authorities of Kapisa province detained a member of Hizb ut Tahrir named Ustad Safiullah nearby the province and put him into prison. This occurrence caused an apoplexy to his old mother that first crippled her and then led to her death on March 21, 2016. “Indeed, we belong to Allah, and indeed to Him we will return”! The Media Office of Hizb ut Tahrir / Wilayah Afghanistan on behalf of its whole staff expresses the cordial condolences to the late family and supplicates Jannat-ul-Ferdous for her. Moreover, for proclaiming the different dimensions of this incident; it states the following points to Muslims in Afghanistan. Some National Security authorities of Kapisa province have tied enmity due to partially personal issues with the members of Hizb ut Tahrir; therefore, they have incarcerated most members of Hizb and propagated unjustifiably against Hizb ut Tahrir and its members as they have been making their indefatigable efforts toward this way. However, they had already arrested Ustad Safiullah for being a member of Hizb ut Tahrir, and he was acquitted by the court after the jury conceived the adopted thought and concept of Hizb. In accordance with Afghanistan’s Law, a person who commits the crime cannot be sentenced twice for the same repeated crime. 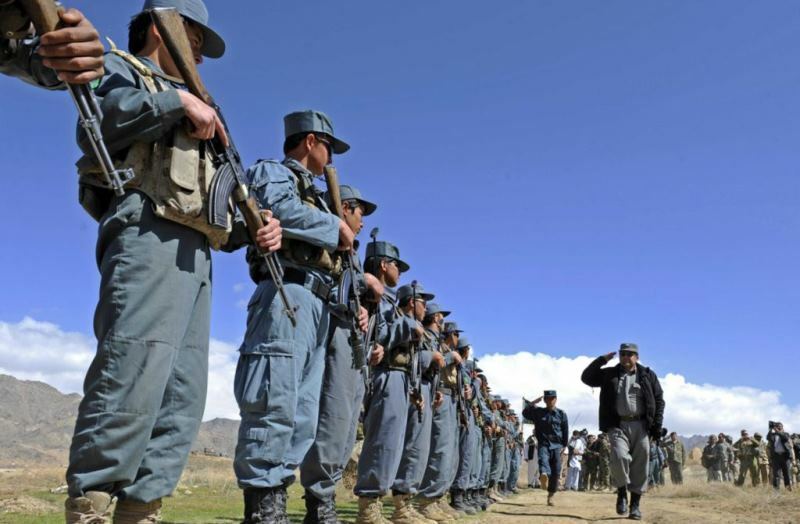 Hence, the personal spites of some National Security authorities of Kapisa province have caused them as not only do they disregard Islam but also do not respect Afghanistan’s Law; they misuse their authorized power for untying the spits. In addition, one cannot locate anything in Afghanistan’s Law that would have convicted whoever attends a political-conceptual party irrespective of its registration or non-registration, especially the party which has never ever centered the substantial matters i.e. war on its cornerstone. Hizb ut Tahrir has been calling for establishing a Khilafah (Caliphate) based on the method of Prophet Mohammad ﷺ and does not follow any other thoughts and beliefs except Islam. The mission of Hizb is to call for welfare (khair), and to enjoin what is right as well as to forbid what is wrong which an obligation from almighty Allah is. So confronting against it is referred to mean antagonizing with Allah سبحانه وتعالى, with His Messenger ﷺ as well as with the whole course of sacred Islam. Furthermore, on the one hand the government of Afghanistan under the designation of Islamic Republic dissembles to the people as it abides by Islam; and on the other hand, the National Directorate of Security carries out such acts to stop the dawah of Hizb ut Tahrir.